CLEMSON — Clemson’s College of Education has been awarded funds to create the Center for the Recruitment and Retention of Diverse Educators, which will research, design and implement the best strategies for minority teacher recruitment and retention. The South Carolina Commission on Higher Education recently approved plans for the center, which will initially focus its efforts in Spartanburg, Cherokee, Orangeburg and Charleston. Roy Jones and Faiza Jamil are the authors of the proposal and will serve as the center’s director and co-director, respectively, and will work in cooperation with a team of faculty and staff. Through the center’s work, they believe the state can start to address poverty, low student performance, more effective teacher recruitment and high teacher turnover by taking steps to address the lack of minority teachers. The team believes the pipeline for teachers should start before high school, which is why the center’s approach takes a broad view. The first year of the center’s work will involve gathering data that will help districts better identify potential teachers in earlier grades, then find ways to provide a more seamless transition between those grades and higher education. This approach becomes more complex given the major differences between the districts involved. While all districts face common issues, there are some issues that are specific to rural or urban districts, so the prescription for each will vary. The complexity of the problem is why the team made a point to meet with as many people in these districts as possible before work began in earnest on the proposal. They also took the extra steps to gain the buy-in of technical colleges and other four-year institutions across the state that provide teacher education. The Call Me MISTER program at Clemson that Jones directs has traditionally focused on placing male teachers, predominantly in elementary education. Jones had always foreseen the potential to broaden the program’s scope. The center will do that, and best practices from nearly 20 years of Call Me MISTER’s work certainly helped conceptualize how the center would operate. However, Jones was encouraged and ultimately aided by Clemson faculty who were not involved with Call Me MISTER, and the proposal for this center of excellence became a college-wide, collaborative effort. Jones lays a good deal of credit for the proposal’s success at the feet of those collaborators. The developmental perspective and the data collection and analytical skills afforded by faculty members Faiza Jamil and Luke Rapa — who already work together in directing the college’s Child Learning and Development Lab — were vital to communicating the need for and establishing the long-term plans of the center. Jamil, assistant professor of education and human development, will serve as co-director of the center. She initially pushed for the collaboration with Jones and others at Clemson, including Rapa, Reginald Wilkerson and Winston Holton. She said she thought of Jones and his long history in Call Me MISTER immediately upon seeing the request for proposals from the South Carolina Commission on Higher Education. She said the team had to come up with flexible interventions that could be applied across locations but also localized in a way that could be meaningful for each community. Jamil’s role going forward is to create data collection methods that will help faculty track the progress of each different population so that Clemson can prove its impact and understand what works under what conditions. Because the proposal includes a detailed plan to track and learn from data, Jamil said faculty will be able to learn from outcomes in the first districts so they can address districts across the state more efficiently. Funding from the state — along with some matching funds from the Sunshine Lady Foundation and cost-sharing contributions from the College of Education — are limited to five years, but the center is designed to become self-sufficient after this time period ends. Jamil said the next few years will see the College of Education making measurable impacts in districts while laying the foundation for positive change in the outlook for minority educators across the state for decades to come. 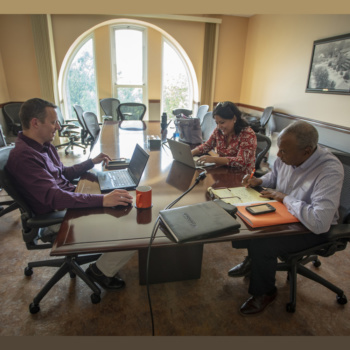 The center of excellence not only aligns with Clemson University’s strategic goal to effect positive change across the state, it also falls in line with the College of Education’s focus on recruitment and retention of teachers. George J. Petersen, founding dean of the college, said the center will directly address educational inequities in the state and become another in a series of innovative solutions the college has put forth in recent years.